You have recently welcomed a new cute and cuddly puppy into your home. A healthy diet is essential for a long, happy life together. What things do you need to consider when selecting your puppy dog’s diet? Always talk to your vet about a proper puppy dog diet. Remember that a puppy dog’s diet is not the same as an adult dog’s diet. Avoid a trip to the grocery store to grab a bag of adult dog food to feed your pet. This will not meet the nutritional needs of a healthy puppy dog diet. Natural or Organic for Your Puppy Dog’s Diet? You can choose to feed your new puppy one of several options. 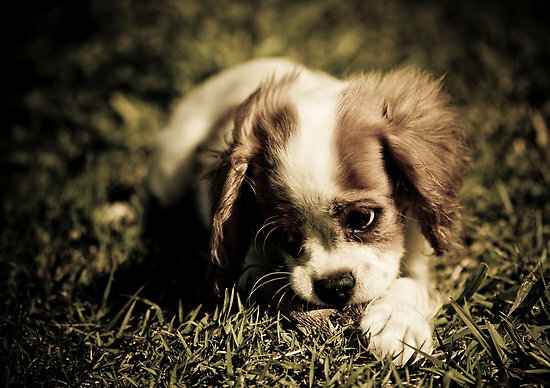 Natural and organic puppy dog diets have become more popular in recent years. Some pet owners prefer to feed a raw diet to their puppy. Most people choose to use kibble as the main component of the puppy dog’s diet. For this reason, I will focus primarily on this choice. As you wean the puppy, a high-quality puppy food with tiny kibble is best. 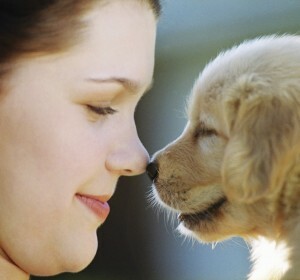 A puppy dog’s diet should include all the essential vitamins to create a healthy diet for excellent growth. Feed your new puppy three or four times a day. Your puppy dog’s diet should consist of puppy food moisten with water. Do not moisten the puppy food with milk. The milk acts as a laxative in your puppy dog’s diet. The water will create a softer, more palatable cuisine for your pet. As the new puppy grows and becomes accustomed to eating the kibble as a regular part of his or her diet, you will want to gradually decrease the amount of water. If you plan to feed dry dog food in the future, expect to transition the dog’s diet earlier than later. Continuing to moisten the dog food may make transition more difficult later in life. By six weeks of age, your puppy dog’s diet can be solid kibble. Your puppy should be permitted all the kibble he or she wants during the initial phase of the weaning process. Make sure you present the puppy the new diet of puppy food at regular times. Around five months of age, your puppy dog’s diet should decrease to only two feeding time’s per day. By this time, you should establish a specific quantity of food per day to ensure a healthy diet and weight for your dog. Should You Talk to Your Vet About Your Puppy Dog’s Diet? Talk to your vet about how much to feed your new puppy. All puppies look cute, round and cuddly at some point during their first few months. It can be difficult to know when your puppy is overweight. Your veterinarian will help to advise you on this issue. It is a good idea to open up the door of communication between you and your vet now. Both vet and owner only want what is best for the new puppy. Feeding your new puppy a healthy diet does not have to be difficult. Talk to your vet for advice and information. Always choose a quality food as the main source of nutrition in your puppy dog’s diet. A healthy diet for your puppy will set the stage for a healthy dog in the years to come.